The Big Opportunity explores the most exciting region for business and industry in America today. The Rio Grande Valley of South Texas is where manufacturers and retailers are choosing to expand or relocate in order to take advantage of the many benefits of business along the US Mexico border. At the crossroads of this booming RGV economy lies Harlingen, Texas, where you'll find The Big Opportunity for retail, manufacturing, logistics, aerospace and healthcare industries ready for you now. RaudelGarza: Hi, my name is Raudel Garza. 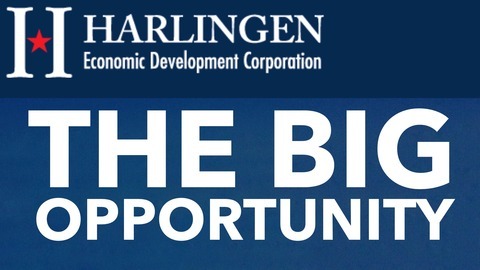 I am the manager and CEO for Harlingen Economic Development Corporation. I wanted to welcome you to the big opportunity. This is a podcast where Kayla and I talk about some of the things that are happening in Harlingen. Today we have a special guest, Sofia Hernandez, who is the Chief of Staff for UTRGV School of Medicine. SofiaHernandez: Thanks for having me here. I look forward to our conversation. RaudelGarza: Kayla is fairly new to the Rio Grande valley and south Texas, and especially to Harlingen. 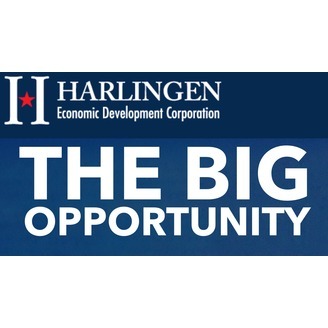 Over the last few podcasts we've been talking about some of the things that are happening in Harlingen and some of the things that impact her job here at Harlingen Economic Development. We wanted to make sure we got her on what's happening with the UT School of Medicine and the school in general. Maybe you can give us a little update on what's going on. You have a new dean at the school? SofiaHernandez: Yes, absolutely, so Kayla this is an exciting opportunity. I think, like a lot of other individuals that are moving to the valley because of different opportunities it's exciting to see new faces and talk about really what's happening across the valley. For the school of medicine we're heading into wrapping up our third year of operations, if you can believe that. A lot of exciting things, we do have a new dean, Dr. John Krause. He is fantastic. When you think about, since you joined this in July, a lot of things have happened that have really kind of propelled the school in terms of its vision and priorities across. Three of our mission priorities, if you will, are education, obviously is our primary mission, then we have clinical care, and research. A lot of exciting things happen, and I am looking forward to sharing that with you, and with you, and everybody else that's watching this. RaudelGarza: Harlingen has a history with the school of medicine, actually the school of medicine was an idea that for many years, the Rio Grande valley folks have been trying to get it down here. I remember about 22 years ago that there was a competition to try to bring in a school of medicine, or what they called back then, a regional academic health center. Harlingen won out, and posted, and basically, by providing the space for the development of the regional academic health center, this facility that brought in third and fourth year med students from UT health science center in San Antonio. Now, I guess it's a stand alone med school, right? SofiaHernandez: Absolutely, so there's a lot of rich history that helped us get to today. I think I've herd some folks talk about how the school has been 70+ years in the making. Certainly, like you mentioned, 18+ years ago it started with the Regional Academic Health Center, which was housing, like you said, the third and fourth year students that were coming in through San Antonio. Today, you fast forward, and really have been very thoughtful about building a school that's a school for the valley and to that end we have kind of a distributed model on how we operate. We do have our first and second year students that are housed out of the Edinburg facility, which is our education building. Then we have third and fourth year, here at the clinical education building in Harlingen. Exciting enough, we have the third class that will be joining us soon. So we have about 54 students, 12 of which are from the valley, that will be joining us. Really our goal there is that we have know about 36% of our students are from the valley, and our goal is to get to 50% over time. Our total enrollment for the school is growing to about 155 starting in this third year. Then the other exciting thing, that I think is great for Harlingen is that we have our third year students that will be rotating primarily here in Cameron county. We have about 24 students in our third year class that will be doing their clinical rotations and spending time both in clinics and hospitals, going through Valley Baptist here fairly soon. I think that that's really exciting. As I mentioned, we do have our clinical education building here and so that is home to a lot of our department chairs of offices there. We also have our GME, our Graduate Medical Education office housed there and then we have wonderful library as well as a state of the art smart hospital, which is really a gem for the school of medicine and for the community. SofiaHernandez: Who's we, right? I would love to myself, I have to admit. I love it. It's really a really nice facility. The goal here is, it's a 15,000 square foot, 20 bed simulation hospital and what that allows the students to do is to just do hands on training. It has an operating room, a fully equipped operating room, an ICU unit. They are able to basically to operations, it has recovery, there is birthing. We have mannequins there, so there is the birthing of a mannequin baby. They really kind of get to get all of that wide experience and it's exciting because it's not only an asset for the medical students, but it's also a great way to do team based care, interprofessional care. Our students that are involved in social work, occupational therapy, pharmacy, nursing, and so forth, will have an opportunity to train there as well. Really an asset for the school as well as for the community. RaudelGarza: Now, how many places, how many med schools have that type of facility. SofiaHernandez: It's common. You see a simulation facility in different, I guess, configured differently in some places. I've had an opportunity to visit other medical schools and so I think it just varies, what that clinical simulation looks like. We do have a small version of our clinical skills lab, which is in the Edinburg campus. That allows students very early on, as they join the school in even their first week of when they come into the school, to be able to already start going through clinical skills lab and learning how to do patient assessments, how to interface with the patient. When they're out in community, and we do take them out to community again very early on in their training so that they can start interfacing with patients. I think that that's a really unique thing for the community and for our school of medicine. Something that we are very proud of is how soon can the students have that experience with the patient, and really getting to know the community because they do have the opportunity to go out to some of the colonias in different pockets in the community, especially in the underserved areas. Students have been amazing, like I mentioned, we are gonna go to 154 students and they've already stated their first student run clinics. I think the community has to be proud of the work that their doing. Kayla: You mentioned that there were two different campuses for the medical school, one in Edinburg, one in Harlingen. What are the benefits of having them separated like that? SofiaHernandez: I think one of the biggest advantages is when you look at the responsibility for the school it's really the four county area. We have about a million and a half people that live in this community that we call the Rio Grande Valley, and a lot of needs across the valley. We talked about the three missions, so clinical care being part of it, we do have an effort underway to establish clinics across the valley. Now we have a presence in la Victoria in star county and one in Laguna vista that just opened up and I always say it's 100 miles of caring for the community. It really allows us to deliver, not only the education program, but deliver clinical care in a thoughtful way across the valley. I think it really leveraging the assets too that are in the community, in both Cameron and Hidalgo counties. I think that that's the huge plus for having a distributed model. RaudelGarza: We've had third and fourth med students here in Harlingen, we've had residency programs throughout the valley, what else is the school of medicine and UTRGV doing in Harlingen? SofiaHernandez: I would like to add a little bit, if you don't mind, about the residency training because we love to brag about our medical students, but residents, I mean, there's some history there in terms of the formation of these programs over the years and we're really proud now that we're gonna have a 166 residents training across the valley. Part of the mandate from the legislature has been that when you look at, it's not enough to have seats in a medical school if you don't have a place for them to train when they complete their education, and they want to see a one to one ratio. We really are very happy and really appreciative of the partnerships that we have with valley hospitals to train residents. We do have in Harlingen, as you know, internal medicine happening at Valley Baptist, we have psychiatry in partnership with Rio Grande State Center, with Tropical and HMR, so internal medicine will now be growing to about 30 residents that are here training in Harlingen and the surrounding areas. Then about 12 in psychiatry. I think that that's significant, plus when you think about the great need for increasing the number of physicians or the physician workforce in the community. We talked about that aspect of education, the other thing that is exciting is the work we're doing to expand our clinical operations. We do have a clinic that's housed within the clinical education building that's here in Harlingen. We do have physicians that are providing or seeing patients both in internal medicine and neurology. I think in neurology, it's very exciting because there's such a great need in the community for those services. For depression, they're going to see patients that have issues with memory, movement disorders. I think that's significant. We just recently opened up a clinic there on Maco drive, so there you have a variety of services that are critical for the community. We're talking about surgery, endocrine, just disorders with your thyroid, thyroid cancers, we also have women's specialties services and here we are talking about uro gynecology, dealing with incontinence and other pelvic disorders that impact women's health. As well as gynecology, we know that ovarian cervical cancer is something that's very prevalent in this community so we want to make sure that we're addressing that. We are very excited about some of the work that's being done here on the clinical side. RaudelGarza: That clinic just happens to be, Kayla, in the middle of the hospital district, what we'd like to call Hospital District, between Valley Baptist and Harlingen Medical Center. Right down the road from Napalm Behavioral Health clinic that opened up just a couple years ago, as well. There's a lot of new development in that area and we're pretty thankful that UTRGV is continuing to help us grow in that category of industry and the city too. SofiaHernandez: We're looking forward to working closely again with our hospital partners to see how else we can support their needs on the inpatient side. We're gonna continue to do that, roll out those clinical services where they're most critically needed in the community. Kayla: You offer a lot of higher level medical education, do you offer a nursing program and other medical classes as well? SofiaHernandez: No, absolutely, good question. One of the changes that we've seen recently within the university that I think is a plus is the heath...so Dr. Krause is now the executive vice president for health affairs within the entire university, so what that means is that all of the health professions, if you will, including school of medicine, will all be under one umbrella. That really gives us a great opportunity to look at team based care, interprofessional care, and we know that careers in medicine and other health professions are growing really rapidly in this community. There is a lot of interest, the enrollment, I think if you look at over the years, has just been going up. It's a great way to bring together...so we talked about school of medicine but now we have school of nursing, so we'll have a founding dean that will join us June 18th, Dr. Sheridan Rodsmensky. She comes from Georgia Southern University. I think we are really excited about that executive recruitment because she brings a great amount of vision and experience to the things that we could do here to shore up the nursing profession. We hear from all our hospitals that there's a great demand for nursing staff. One of the initiatives that she'll be rolling out is an accelerated baccalaureate in nursing initiative. It's about a 15-month training program where somebody that already has a degree in something else can get admitted or enrolled in this program and then get on a fast track to a nursing degree. Again, about 15 months of training and we're hoping to kick that off next summer, her in Harlingen, as a first site. Then get about 20-25 students enrolled, and I'm sure the area hospitals will welcome having that nursing staff in their units. RaudelGarza: We've had a very young population in south Texas, that's pushing forward in their educational careers and then wanting to go into something else. One of the things that sometimes plays a lot of areas in the country is the labor shortage, we don't have that problem here in terms of having capable people that go through our training programs and then get hired by the local hospitals. SofiaHernandez: Yeah, and it has a great benefit when you think of it in different areas, one is absolutely critical for patient care when you think of staffing ratios between nursing and patient, but also potential for research as we now are building those capacities as well. The other is an economic benefit, we know that the nursing profession is a very important one that also comes with great salaries that come with nursing. If I remember correctly, you're hired at about 35-50 dollars an hour, so really great wages that I think are key when you look at our community and the need to raise the wages, the per capita income in the region. I think nursing is fantastic opportunity for that. RaudelGarza: Absolutely, that's why in Harlingen that's one of our biggest targets is medical development and just healthcare in general because they are generally associated with higher paying jobs and that's what we're hoping to do. To generate those higher paying jobs so that we can improve the quality of life here in Harlingen. Kayla: Can you tell me a little bit about what the plans are for the neuroscience institute? SofiaHernandez: Sure, so we do have, as I mentioned, the third part of our mission is research. We are very fortunate in terms of currently working with the South Texas Medical Foundation and the Harlingen EDC on building a new neurosciences institute that'll be housed here in Harlingen in proximity to our clinical education campus. That's exciting, we're planning a 60,000 square foot facility that will basically house research, clinical, and administrative functions. Neuroscience is such a dynamic field too, when you look at disorders around the nervous system, but they're doing a lot of exciting work in terms of brain mapping, really understanding through neuro imaging, what's really happening with the brain and how does that impact health and diseases? I think it'll be really exciting to develop the neuroscience institute. We currently are recruiting a director for the institute, and this individual will also chair our department of neuroscience. We are very excited about one of the candidates that we're looking at for this position, someone that is very well known nationally in research and the academic field and that has some funding and a great track record of obtaining funding. I think that'll be a significant benefit for the community. RaudelGarza: When one of these institutes comes in, researchers come along with their team of assistants? RaudelGarza: So, more job creation? SofiaHernandez: Absolutely, a lot of these opportunities around research are exciting because you're right, when you're looking for that talent, there's always a cluster of scientists that come with that talent. If you look at the Celtic's diabetes institute, that's been a flagship research program and now we have 55 staff members associated with that initiative, 26 PhD scientists, and they're really doing cutting edge work and research to better understand diabetes and really looking at new treatments and so we expect the same with neuroscience. Here we have an opportunity to look at ways of creating new drugs, perhaps, new technology, I think the opportunities are endless and I think that also has an economic benefit for the community. RaudelGarza: One of the things we have in Harlingen is also the VA clinic and obviously that's to help serve the veteran community here in south Texas. What is UTRGV and the school of medicine doing to collaborate with the VA system? SofiaHernandez: The VA and the academic medical centers have a rich history of collaboration across the country, so we're really excited about an opportunity perhaps in the near future to develop a partnership with the VA to look at the infrastructure they have here in the community and see how we can enhance those services that are offered. It's so important for our veterans not to have to travel to San Antonio or other areas in the state to get the care they need. Our goal is to, one, on the graduate medical education side, look at some residency training opportunities. The VA does have a different program, a funding mechanism, then what CMS has for your normal Medicare funded positions. The VA can establish their own residency slots and fund them. We are looking at how do we collaborate to maybe fund additional positions in medicine, maybe psychiatry, maybe some other areas. That's one opportunity for collaboration. The other is within our existing programs, we already have some residents rotating through the outpatient facility. Then the other is, as I mentioned to you, we have a lot of efforts underway to expand our clinical operations here, so as we grow that aspect, is there an opportunity to integrate with the VA and have some of our physicians spend some time there at the clinic and provide services. RaudelGarza: That would be great. SofiaHernandez: I think that that would help tremendously with having a presence there, providing services there, and looking at how do we deliver high quality care to our veterans. SofiaHernandez: I think that's something to stay tuned for because we're really looking forward to a possible collaboration. RaudelGarza: Okay. So, Kayla, that's I guess a pretty good summary of some of the things that are going on in the healthcare industry here in Harlingen. Do you have any other questions? Kayla: No, just thank you Sofia, for coming in today and speaking with me and helping me learn a little bit more about Harlingen and the valley. It seems the University of Texas Rio Grande Valley is making a huge impact on, not only Harlingen, but the entire valley so I look forward to everything that the school of medicine is doing and happy to have you here today, thank you. RaudelGarza: Of course, they can look at our website for some more information at harlingenedc.com but I'm sure there is another website we can direct them to for the school of medicine as well, right? SofiaHernandez: Sure, absolutely. Definitely can visit us at the utrgv.edu website. We do have, as I mentioned to you, we're growing our clinical operations so we will be launching, June 1st, a website uthealthrgv.org and that will house all the information on all our clinical locations, who to call to see a physician, and then we'll also be opening up a line which is 833-UTRGVMD. I think that will be a great resource for community and for any individuals that need access to care, because what matters to their health, matters to us. RaudelGarza: Well, thank you for being here, we really do appreciate that information and to the audience out there, stay tuned for the next podcast. We'll be glad to tell you a little bit more about what's going on in Harlingen and get Kayla up to speed and then she'll be her own. That's a wrap.